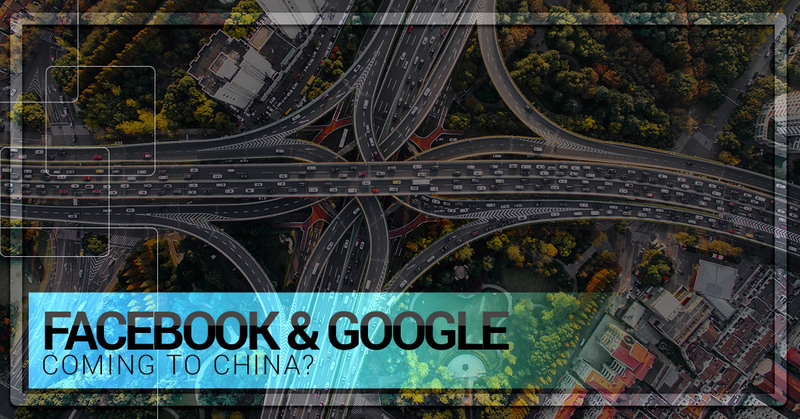 Facebook & Google Coming To China? Most of us know that the infamous Great Firewall of China is exceptionally good at blocking popular sites to us westerners. These sites include Facebook, YouTube, Google, and several others. However, improving relations between the US and China may spell the beginning of social media sites like Facebook and tech giant Google breaking into the Chinese market. Needless to say, expats who have long given up hope of freely surfing Google and Facebook are excited at the possibility for these two coming to China. Mark Zuckerberg, CEO of Facebook, is trying to tap into the potential goldmine of China. Current monthly active users on the largest social media website is just slightly smaller than the entire population of China at 1.4 billion. Expats abroad should be pleased to know that he is doing his best to woo China into accepting Facebook. Currently Facebook is on the wrong side of the Great Firewall of China. Any expats overseas that want to access Facebook have to go through a VPN like LiquidVPN in order to do so. Being able to freely access Facebook in China would do wonders for bumping membership and put Facebook out of reach of the competition. Not to mention coming to China would also give Facebook a sizable boost in the stock market. Zuckerberg is giving the chance of coming to China the all-American try. He did a full interview in Mandarin last October and also released a short video for Chinese new years in February of this year. Only time will tell if he is able to infiltrate the Great Firewall by learning Mandarin and recommending China President Xi Jinping’s latest book. Expats abroad, like myself, are keeping our fingers crossed. Even if Zuckerberg is able to shoehorn is way into the Chinese market he faces stiff competition. His core market in China is already dominated by local companies. For example, Facebook already has one app easily available in China. It is the free messaging platform called WhatsApp. Current statistics put its usage at 25 million in mainland China. Whereas the Chinese equivalent, WeChat owned by Tencent, claims 450 million users. Also owned by Tencent, QQ, has grown into a way for those in China to find friends, join new groups, and even learn and translate Chinese (among many other things). WeChat is a close relative to QQ and is in effect QQ for mobile phones. Most Chinese nationals have not heard of Facebook’s WhatsApp, and those that have consider it a far inferior app that is outdated, ugly, and simplistic compared to WeChat. Apple also has it’s gaze fixed at the world’s largest mobile market. In October of 2014 Tim Cook was quoted as saying that, “It’s only a matter of time,” until China brings in more revenue for Apple than any other country. Apple is rapidly expanding. In 2014 they planned to go from 15 to 40 stores in Greater China (a term that encompasses Taiwan, Hong Kong, and Macau along with the mainland) by 2016. Making Apple products more easily accessible can only be good news for expats in China. One of the biggest adaptations for expats when coming to China is not the smog, the different culture, or the ‘anything is food’ mentality that China has. No, no, the toughest thing for expats is learning to live without Google. Services like Google search, Gmail, Google maps, even official support for Android and the all-important YouTube find themselves next to Facebook: stuck behind the Great Firewall. Google once had a place in the Chinese market. But after a nasty falling out in 2010 they abandoned many projects in China and moved to Hong Kong. Google accused the Chinese government of overly stringent self-censoring guidelines for their search results. This, along with subsequent allegations of government sponsored hacking led to the decision to leave mainland. The move angered the Chinese and left the relationship between the government and American tech company Google sour. However, progress is tangible on Google’s front at least. Reports indicate that Google has partnered with ChinaPay in order to provide payments for their Google Play Store. Approval to open their store can come from the Chinese government as early as this fall. Expats abroad can only pray that this spells a potential return for the full suite of Google products and services- but there has been no movement on that as of yet. For now, the best strategy is to arrive in China already having set up a reliable VPN. China’s efforts extend into preventing access to sites to download VPNs once you are here- including android apps. Even if Facebook is successful in coming to China it will more than likely be a separate platform than the one westerners use. Any progress that Google has working with the government will surely be a long and arduous task- likely only gradually introducing some Google services- almost certainly not all. But after China and western tech companies can learn to reach an equilibrium the assimilation of more western media is almost definite.